Ten excellent (yet affordable) DIY Gift Ideas for $10 or less. Let's face it, finding a great gift for the do-it-yourselfer in your life is not easy -- specially when the hole in your pocket seems to be getting bigger and bigger. Well, I'd like to help make your gift finding (and buying) a little easier and a whole lot more affordable with this list of 10 useful DIY gifts. That's right, each of the following DIY tools cost ten dollars or less. And since most come with Craftsman's Lifetime Replacement Guarantee, you buy once and own for life. 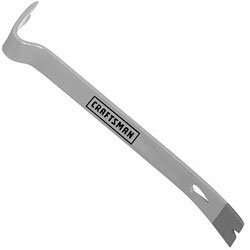 So, no matter what's happens to the tool, Craftsman (Sears) will replace it for free. So here we go. Great gift ideas for your Mom, Dad, Grad, Brother, Sister, Aunt or Uncle -- even yourself. 18 1/8" X 13 1/16" X 3 1/8"
Also, pickup your FREE PDF "The Absolute Essential Tools Every Do-It-Yourselfer Must Own" Free PDF Download. This comprehensive 26-page PDF gives you detailed information and prices on 45 of the most versatile do-it-yourself tools -- the essential tools you will use the most. Having these tools on-hand can save you time, money and frustration so you too can succeed with speed. Oh and by the way, these essential hand tools will all fit in the tool box above for easy access and transport. Connects your drill to your sockets. 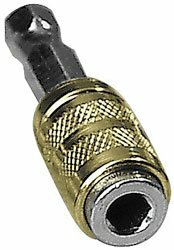 Great for driving lags and loosening nuts -- about $4. Sears. The mini bar is a great demo tool for getting into small spaces, removing trim and tiles and other breakable items -- about $5 at Sears. Handy pocket level that you'll use far more often than your 4 foot level and it fits in your tool box -- about $6 at Sears. Indispensable, compact and does it all. Great for the car, boat, motorcycle, bike or with your camping gear -- about $8 at Sears. A must for marking, cutting and most importantly, sharpening your pencil. 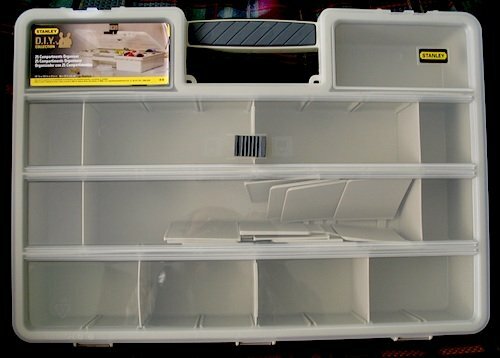 Easy switch blades and storage -- about $8 at Sears. 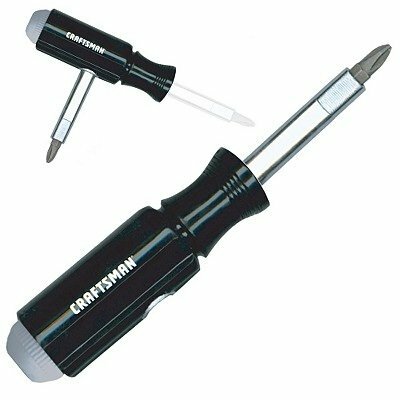 Attach this to your drill to change screwdrivers and drill bits in a snap -- about $9 at Sears. A must for tackling any electrical job -- about $10 at Sears. 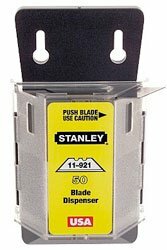 Convenient 100 blade dispenser. A far less expensive way to buy blades -- about $8. If you have a couple extra dollars to spend, here's three bonus DIY gift ideas for less that $20 bucks. 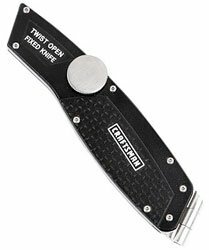 The most versatile wrench around. Great for opening/closing big and small containers, pipe fittings and pool filters -- about $15 at Sears. 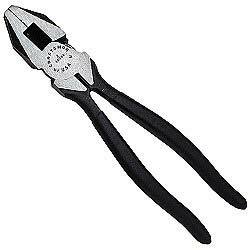 These pliers are must for any electrical job. 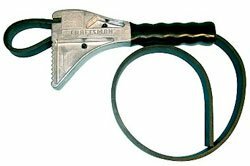 They easily twist wires together, cut most electrical wire, are great for mending fences. Also they're excellent for pulling small nails and staples--about $20 at Sears. No more knocking, drilling, poking or searching. Find it now with a stud finder. Locates pipes and electrical too -- about $20 at Sears. Ten smart and inexpensive ways to succeed with speed. Remember, if you have questions about your DIY projects, just ask your just ask Personal DIY Consultant. I'm here to help you succeed with speed.